ELA.W.7.5: With some guidance and support from peers and adults, develop and strengthen writing as needed by planning, revising, editing, rewriting, or trying a new approach, focusing on how well purpose and audience have been addressed. ELA.W.7.9: Draw evidence from literary or informational texts to support analysis, reflection, and research. ELA.W.7.8: Gather relevant information from multiple print and digital sources, using search terms effectively; assess the credibility and accuracy of each source; and quote or paraphrase the data and conclusions of others while avoiding plagiarism and following a standard format for citation. ELA.L.7.2: Demonstrate command of the conventions of standard English capitalization, punctuation, and spelling when writing. ELA.L.7.1: Demonstrate command of the conventions of standard English grammar and usage when writing or speaking. ELA.L.7.4: Determine or clarify the meaning of unknown and multiple-meaning words and phrases based on grade 7 reading and content, choosing flexibly from a range of strategies. ELA.L.7.5: Demonstrate understanding of figurative language, word relationships, and nuances in word meanings. ELA.L.7.6: Acquire and use accurately grade-appropriate general academic and domain-specific words and phrases; gather vocabulary knowledge when considering a word or phrase important to comprehension or expression. ELA.RI.7.8: Trace and evaluate the argument and specific claims in a text, assessing whether the reasoning is sound and the evidence is relevant and sufficient to support the claims. ELA.RL.8.5: Compare and contrast the structure of two or more texts and analyze how the differing structure of each text contributes to its meaning and style. ELA.W.8.5: With some guidance and support from peers and adults, develop and strengthen writing as needed by planning, revising, editing, rewriting, or trying a new approach, focusing on how well purpose and audience have been addressed. ELA.W.8.9: Draw evidence from literary or informational texts to support analysis, reflection, and research. ELA.W.8.8: Gather relevant information from multiple print and digital sources, using search terms effectively; assess the credibility and accuracy of each source; and quote or paraphrase the data and conclusions of others while avoiding plagiarism and following a standard format for citation. ELA.L.8.2: Demonstrate command of the conventions of standard English capitalization, punctuation, and spelling when writing. ELA.L.8.1: Demonstrate command of the conventions of standard English grammar and usage when writing or speaking. 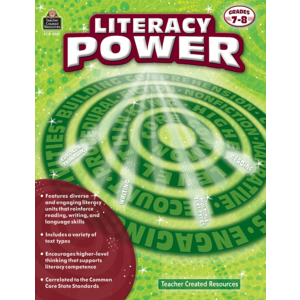 ELA.L.8.4: Determine or clarify the meaning of unknown and multiple-meaning words or phrases based on grade 8 reading and content, choosing flexibly from a range of strategies. ELA.L.8.5: Demonstrate understanding of figurative language, word relationships, and nuances in word meanings. ELA.L.8.6: Acquire and use accurately grade-appropriate general academic and domain-specific words and phrases; gather vocabulary knowledge when considering a word or phrase important to comprehension or expression.